Bella Terra is a redevelopment of a failed 1960s vintage shopping mall (The Huntington Beach Mall) in Orange County, California. The center was redeveloped as a hybrid big-box/entertainment center with an Italian Village feel. Westfield Downtown Plaza is a 1.1 million-square foot, two level outdoor shopping mall located in the heart of downtown Sacramento. Anchored by two Macy’s stores, the mall caters equally to downtown office workers and weekend tourists, but is facing some trouble. A 2006 proposal to renovate the mall appears to have stalled, and many tenants are fleeing the center even as activity throughout the rest of the center city is increasing. Before I get too histrionic, this is why I found Manchester Center in Fresno, California to be such a treat. It had been at least five years since I had discovered a mall quite like this one, and it was a shock to find such a creepy time capsule still completely open and accessible. 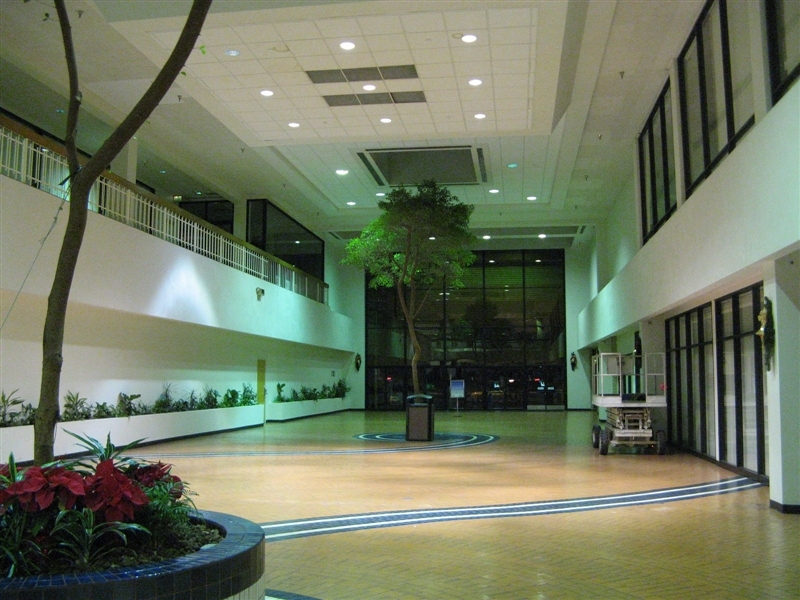 The Vintage Faire Mall is the largest enclosed shopping center between Sacramento and Fresno in California’s central valley, and the only enclosed mall serving the city of Modesto. Located at Standiford Avenue and Highway 99 in the Northwestern corner of the city, the mall has two levels of shopping and five anchor stores spread across a little over a million square feet of space. Cupertino Square (the former “Vallco Fashion Park”) has a more tangled and bizarre tale than many of the malls of the San Francisco Bay Area, and today seems to be mired in a never-ending renovation and revitalization that bears few fruits. While some progress has been made to date–such as the opening of all of the above attractions–the mall seems to be frozen in amber, unable to move forward on the promise of renewal. The entire first floor of the mall is mysteriously shuttered, the food court has been closed and under construction for over a year, and little seems to ever change. The large pylon facing I-280 still displays the “Vallco Fashion Park” name, even as all other signage for the mall has been updated to reflect the new name and logo.